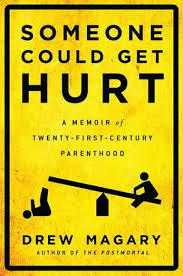 Someone Could Get Hurt by Drew Magary was a riff on parenthood that had some interesting stuff in it and would likely ring true for anyone with young kids. Particularly compelling was Magary's writing about his third child and time spent in the NICU after being born seven weeks premature and requiring surgery for intestinal malrotation. Just gut-wrenching reading and Magary did a really solid job with this area of the book. I've linked to quite a few pieces and works by Magary and found his second book to be a pretty good follow on to his interesting novel, The Postmortal.